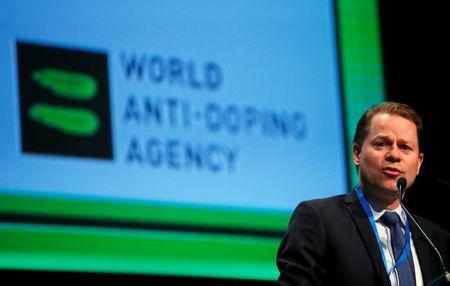 WADA's executive committee will meet on Sept. 20 to review RUSADA's efforts to bring about a reinstatement. Russian Sports minister Pavel Kolobkov told Russian news agencies on Friday: "I was certain that the compliance review committee would, sooner or later, recognize the huge work that has been done by Russia in the fight against doping. "We have always strived toward cooperation, we did everything that depended on us... We are open to the maximum because we have nothing to hide. Only together were we able to reach this result." However, USADA's Tygart said in a statement to Reuters that he had mixed reactions. "Frankly, it stinks to high heaven. WADA should stop the sleight of hand and release the new CRC recommendation as well as any information received from Russia now showing they are compliant," Tygart said. "If they are compliant then great, we will get access to all the data and samples at the Moscow laboratory and finally justice can be served in the hundreds of cases that have been derailed up to now." The International Olympic Committee (IOC) reinstated Russia in late February after the remaining tests from this year's Pyeongchang Winter Games all returned negative. "The IAAF’s Taskforce will prepare a report for the next Council meeting in Monaco in December, which is expected to cover any developments relevant to Russia’s position in the sport," the sport's governing body said on Friday.